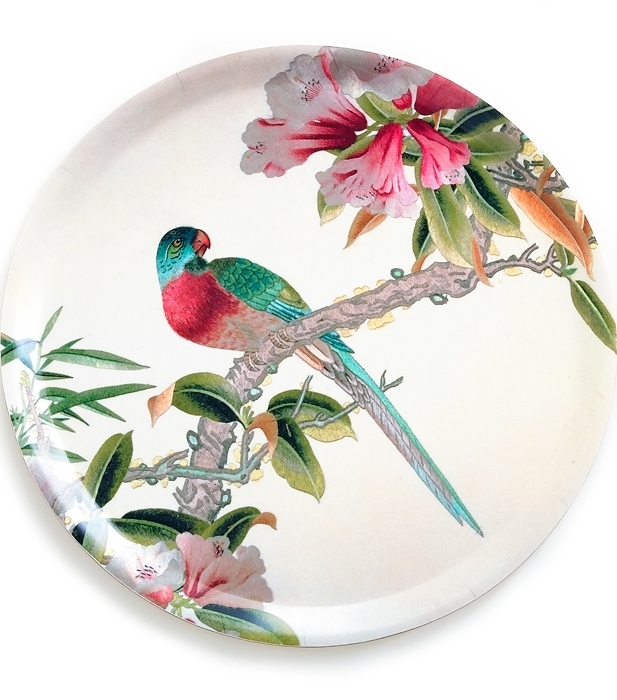 The image on our exclusive parrot trays is taken from an antique embroidery of a gloriously coloured parrot perched amongst flowers and foliage. We use our large tray as an unusual artwork, propped up amongst our collection of bird and flower paraphenalia. Available in two sizes - please select your choice from the drop-down menu below. You save £5.50 that's 20% off!